This Is The Place Heritage Park is a Utah state park that is managed and operated by a non-profit foundation. 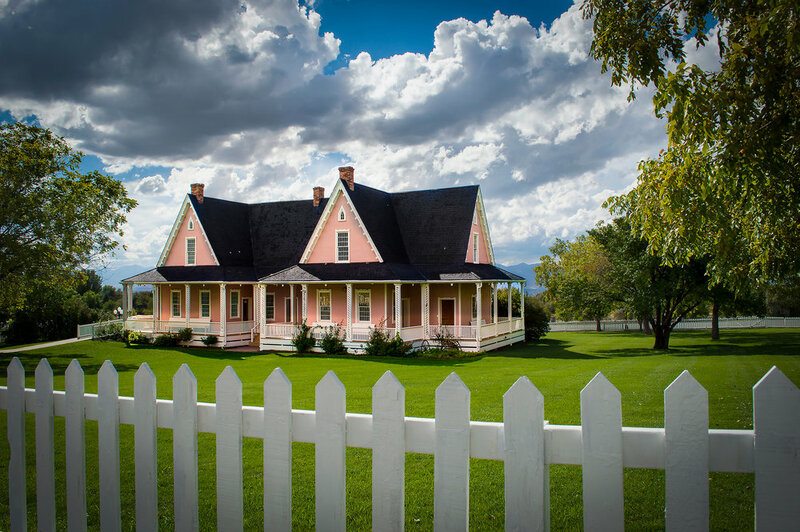 Its mission is to preserve Utah's history and promote its unique heritage. The Park is supported financially in several ways. A small admission fee paid at the gate by the thousands of Park visitors helps pay the expenses of the facility. Private donors and organizations generously contribute to the Park, while businesses "sponsor" specific buildings, covering the costs of maintaining and programming them. Service groups, from Boy Scout troops to church youth groups and civic organizations, donate thousands of hours to cleanup, maintenance and other projects that keep the Park clean and presentable to the public. Volunteers who staff the Park's homes and shops, drive the trains and help with pony rides, among a long list of duties, are crucial to the success of the Park. Like the service groups, our volunteers contribute thousands of hours of their time to be real pioneers at the Park. Private donations and organization sponsorships are crucial to sustaining the Park. Private donors can contribute to the Park generally or earmark their funds for specific purposes. Organizations can sponsor various buildings or any number of activities and program.